You have been thinking about having a safe installed in your home but you aren’t sure if it is worth the investment. While you know several people who utilize a safe in their home, you can’t think of too many ways in which you could put one to use. You might be surprised by all of the reasons a safe would be a smart investment. There are plenty of people who have purchased a safe and then had to buy another one because they discovered they need all of that extra secure space. You don’t want to have to buy two safes because you didn’t buy a big enough one in the first place. To give you an idea of how valuable a safe is and how big of a safe you will need, consider the reasons to own a safe. 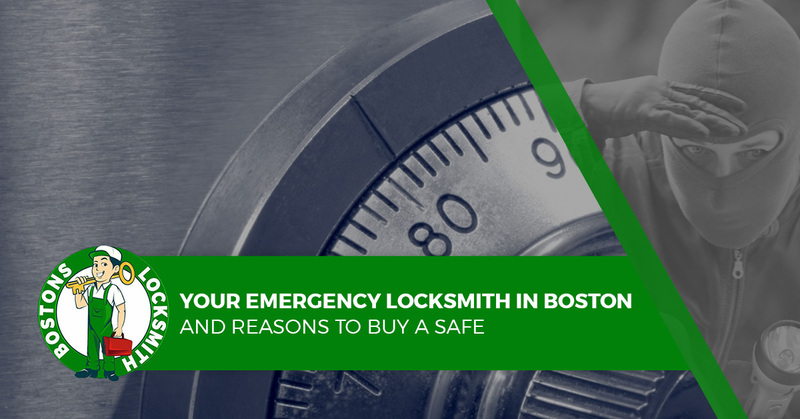 Bostons Locksmith, your emergency locksmith in Boston, offers these reasons to have a home safe. You might own jewelry that is worth hundreds or thousands of dollars. If so, you might want to keep it in a safe when you aren’t wearing it. If a burglar were to break into your home, finding and taking your expensive jewelry will be on the list of things they will do. You might have jewelry that isn’t worth a whole lot of money, but it holds great sentimental value. For example, your engagement ring could be rather inexpensive, but you certainly wouldn’t want a thief to run off with it. The same holds true to jewelry that has been passed down to you from your mother or grandmother. There are several documents that you will want to keep safe and secret. These documents include home deeds, wills, insurance policies, birth certificates, passports and the list goes on and on. Having these documents go missing or getting damaged would mean having to have them replaced. This would be a rather time-consuming and frustrating task that is sure to eat away at your free time and have you pulling out your hair. It is likely that you have at least a few things that have been passed down to you by your father, mother or other relative or friend even. You will want to keep these precious heirlooms as safe as possible, which is why you store them in a safe. If you have children, you will do anything you can to ensure their safety and well-being. One way in which you can protect kids from firearms and medications is by keeping such items in a safe. A safe is the best way you can keep dangerous items out of reach of kids and accessible to you. You might be the type who likes keeping a wad of cash handy for emergency purposes. If so, you will most certainly want to store it in a safer place than stuffed in a sock in your underwear drawer. A safe is an ideal place to store your cash. You might have a rare coin, gold or other items worth a lot of money. These items should be kept in a safe place at all times to ensure they will be there when you need them. Remember that one year when your spouse found that tennis bracelet you bought her for Christmas? The surprise was ruined and she felt bad about the whole incident. Don’t let that happen again, buy a safe to store those surprises. If you have concerns about the security of your home, give Bostons Locksmith a call and we can talk about solutions.